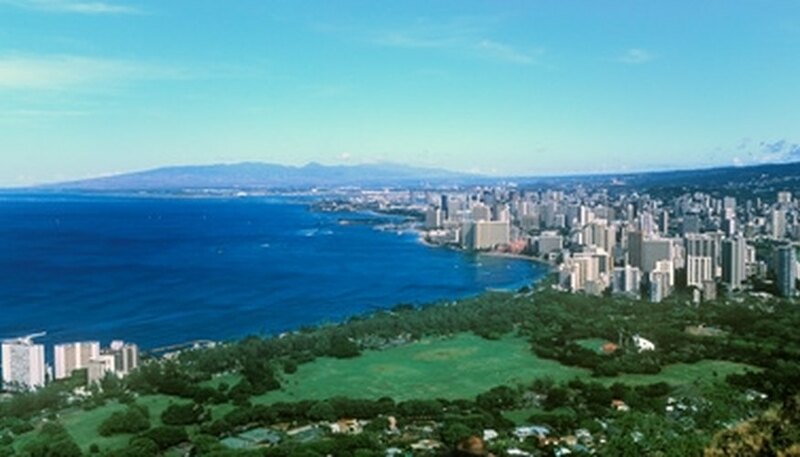 Couples often choose Honolulu, Hawaii as a destination for weddings, honeymoons, anniversaries or a romantic getaway. With its island culture, beaches, as well as vibrant city life, Honolulu offers unlimited activities for tourists and residents alike such as sunset walks on the beach, swimming with dolphins and surfing. Along with a multitude of activities to choose from romantic restaurants abound in Honolulu. Dine at one of Honolulu's numerous romantic restaurants. Voted "Best Restaurant for Romance" by Honolulu Magazine, Michel's at The Colony Surf, with its ocean views, has been serving French cuisine since 1962. Michel's is open for dinner and features live music most nights. Start dinner with Michel's lobster bisque, made with fresh Maine lobster flamed in cognac at the table, or the escargot served in herb garlic butter. For dinner try the prime filet, lobster and crab, half a Maine lobster stuffed with Kona crab and filet mignon served with asparagus, mushrooms topped with a wild mushroom sauce and vin blanc. Finish off the meal with a chocolate souffle or cherries jubilee. Special menus are available for private parties. Open since 2006, owner Jesus Puerto developed Soul de Cuba Cafe with the intention of promoting Afro-Cuban cuisine, music and decor. Earth-toned walls adorned with religious Cuban art surrounds diners while salsa and bolero music plays in the background. Appetizers include shrimp and scallop ceviche with tomato, red onion, mango and cilantro and papa rellena--lightly fried mashed potato croquette stuffed with seasoned ground beef and topped with tomato aioli. The menu features salads and sandwiches as well as chicken, beef, pork and seafood entrees. End dinner with a mojito cheesecake or a traditional Spanish flan. Soul de Cuba Cafe is open for lunch and dinner and catering is available for special events. Owner and chef George Mavrothalassitis is a winner of the James Beard Foundation award, one of the most prestigious culinary awards in the United States. Chef Mavro serves an Asian/French cuisine made from fresh and local ingredients. The dining room is decorated with island art and crisp white tablecloths. The prix fixe menu changes four times a year and offers three-, four- and six-course meals complete with wine pairings for each course. Seasonal dishes include a marinated ahi with an olive tapenade and quail egg sauce as well as wagyu beef served with celery root puree and pancetta brussels sprouts in a pinot noir sauce. Vaun, Abby. "Romantic Honolulu Restaurants." Dating Tips - Match.com, https://datingtips.match.com/romantic-honolulu-restaurants-7710884.html. Accessed 23 April 2019.